Wolfgang Rihm once said retrospectively of his piano oeuvre: "The music I have composed for piano is not a separate block within my production stream. In its own way, every piece shares in and belongs to the problematic of its wider context. The works Klavierstück Nr. 1 to Klavierstück Nr. 7 are not based on a cyclical concept." 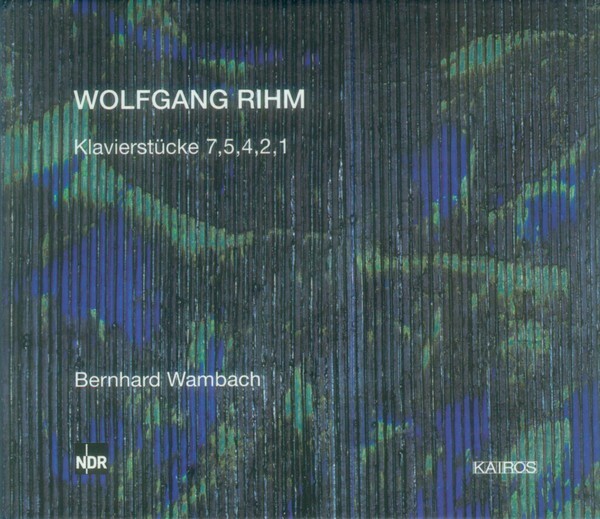 To summarise, let us reflect on Wolfgang Rihm's piano work, here in his own perspective: "Nr. 1 is a free development form, which, however, did not emerge freely, without constraints. The piece is wholly dominated by the expressive uncertainty which derived from what everyone was preaching, namely that everything be structured. So I integrated refrains, inserts, cross-references here and left and right. This technique becomes especially distinct in Klavierstück Nr. 4 and Nr. 5. Setting the part of the piano gradually turns into the setting of accents, which opens up possibilities of expression that I did not discover until Klavierstück Nr. 7. This is where the preoccupation with Beethoven's piano setting and his wild-gentle gestures, the so-called late Beethoven's, becomes the main driving force."